New York Comic Con in 2013. I would love to be invited to your convention! 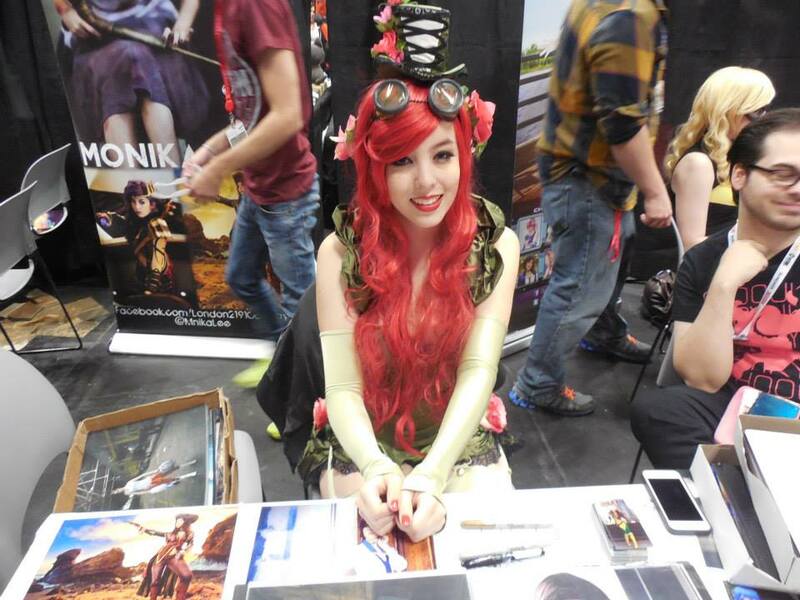 I can host and participate in cosplay panels or workshops, with specific emphasis on craftsmanship, competitions, hair/makeup, cosplay modeling/photography, balancing school/work and cosplay, Heroes of Cosplay and video games. I have extensive experience judging costume competitions and can judge or emcee your cosplay contest. I can also provide fun and friendly photo opportunities and signing sessions for convention attendees. I've been attending conventions since I was a kid and am open to participating in all sorts of events. If you have something specific in mind, please don't hesitate to contact me about it. If you’d like to invite me as a guest to your convention, please contact me with details here. 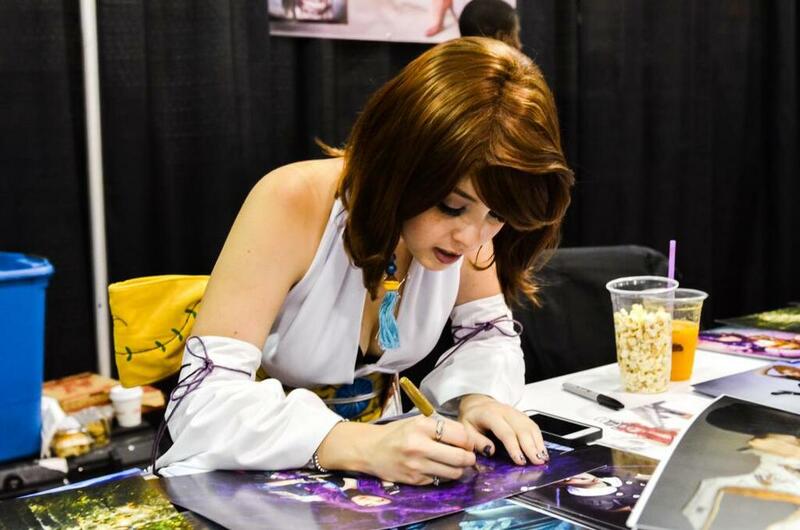 Signing photos for fans at Calgary Expo in 2014. I've had the pleasure of being invited or employed by many wonderful conventions across the world.